Built in 2014, sailing yacht Bolero is suitable for your summer holidays. Her beam is 4,2 meters which makes the yacht to offer generous living areas onboard. With 3 cabins and 2 toilets is capable to accommodate 6 people overnight. In the interior there are full-length windows that give people onboard a really nice view of the outside. 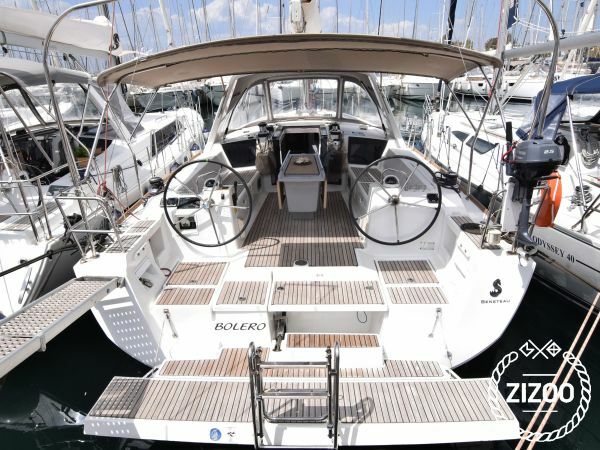 Equipped with full batten main sail and electric winch for the sails, Bolero shows the modern way of sailing. Enjoy your cocktail in the wide cockpit of Bolero while the swimming platform at the aft of the yacht is opened offering a direct access to the beautiful waters.